There are lots of delicious recipes in which dried bell peppers used like soups, omelets, stir-fries, etc. If you have already prepared them at home, then there is no need to buy the costly dried peppers from the market. The main thing is to cut them thinly with the help of a slicer for a better drying result. People don’t have proper guidance to dehydrate bell peppers in the right way, but now you don’t have to worry at all as you have landed on the right page. Here, we will give you the step by step instruction regarding the dehydrating bell peppers. Besides this, we also provide you with some excellent tips and info concerning this food. So, let’s begin our journey! Pick some medium-size bell peppers from the garden for drying. You have to wash the bell peppers and leave them for a while to get dry. Take the dehydrator trays and place the parchment paper on them in the accurate size. Remember to keep the trays near the cutting area so that you can put the bell peppers easily on the trays after slicing. Now put the bell peppers on the chopping board and cut its tops. You have to cut the bell peppers in half length. Remember to remove the crux also which helps in joining the peeper to the seeds. The thickness of the slices should not be more than 1/4-inch. If the slices remain thick then, it might turn into the leathery texture which does not taste crispy. 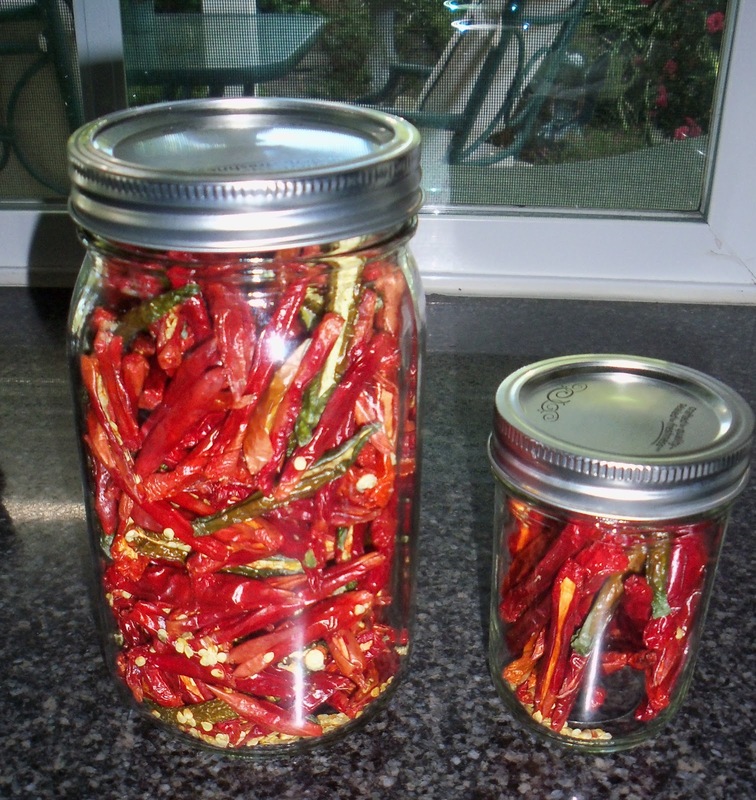 If you want to preserve the dried bell peppers for the more extended time then blanching is recommended. You need to blanch the bell peppers in the pot of boiling water for only four minutes to retain its natural flavor and color. After this, sieve the extra water from the bell peppers and quickly move the peppers in a bowl full of ice water. Let the bell peppers get dry for around 5 minutes and then drain the water carefully. Place the bell peppers on the trays of your dehydrator and set its time and temperature as per the guidelines of your machine. 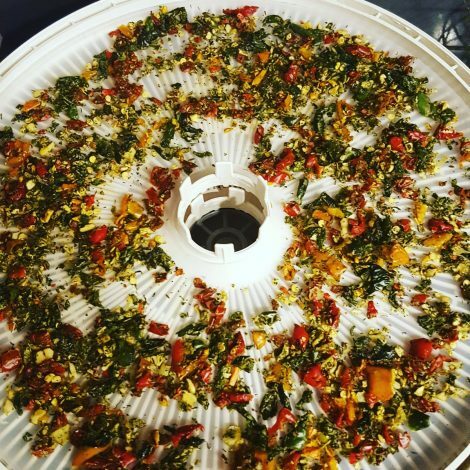 Typically, the temperature of the dehydrator set between 125 degrees F and 135 degrees F for dehydrating bell peppers. It might take 8 to 10 hours for drying. As soon as the process of dehydration gets competed, you should check that whether all the pieces are uniformly dried or not as they should not be slimy. 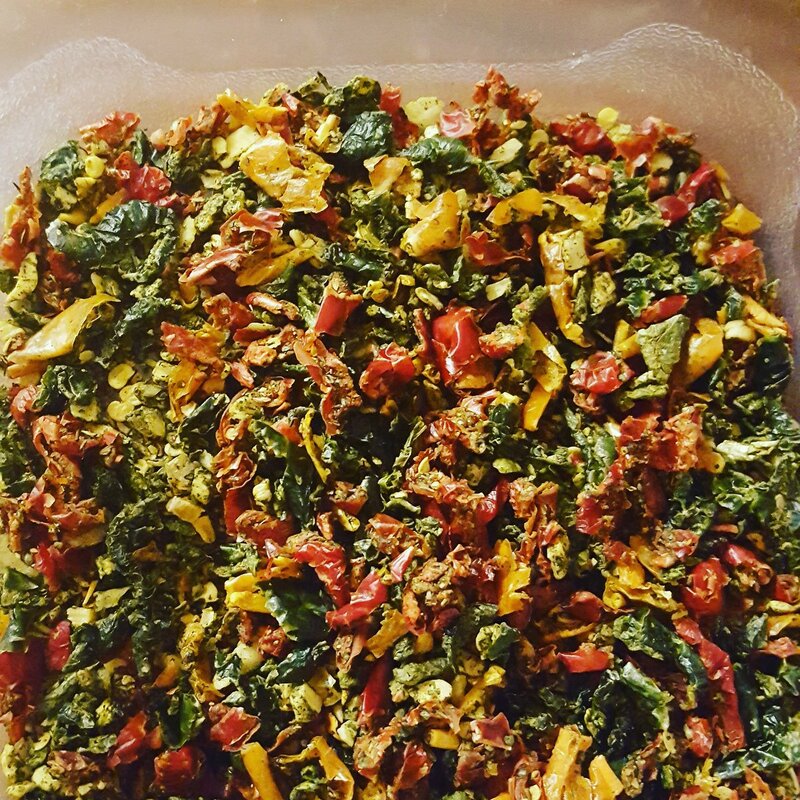 After the dehydration process gets completed, you need to cool down the dried bell peppers and store them in an airtight container for preservation. The bottle should keep away from light for longer shelf life. Always use a slicer instead of the knife for cutting bell peppers uniformly so that equal time is taken for drying by each slice. People who want to store dried bell peppers for more than the period of four months must do the blanching. In the case of short-period preservation, the step of blanching can ignore. You can use the dried bell peppers in the stews or soups. To increase the flavor of the eggs, you can add dried bell peppers. It can also add to the sauce of spaghetti. Adding it to the boiling noodles can enhance the overall flavor of the dish. We hope that after reading the above information, now you know the process of dehydrating bell peppers quickly. In fact, you can also use it in the number of tasty recipes for enhancing the flavor. The dried bell peppers not only work as the taste enhancer but you can easily preserve them for the more extended period for the kitchen use. If you have already tried dehydrating bell peppers at your home then, please share your experience and tips with us. It will be very grateful. We would also love to hear your thoughts on the above article in the below comment box. It will help us in making our article more informative and useful for our valuable readers like you. Thanks for reading and keep sharing this article with many more people!